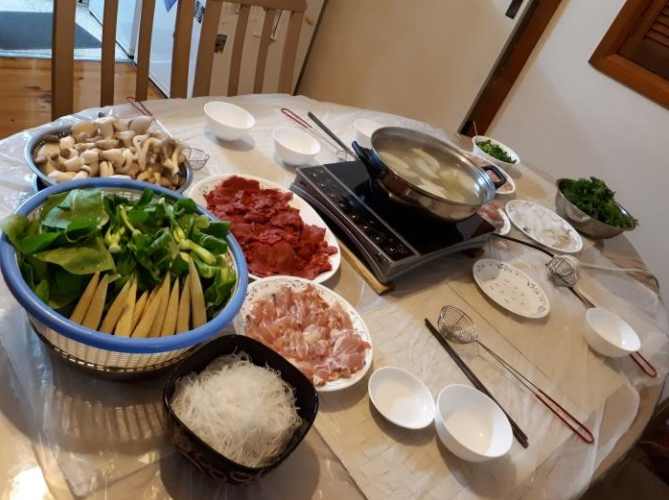 Hot pot is a wonderful way to socialise and enjoy a wide variety of food with friends and family (the more people, the more variety of food you can have!). Hot pot involves setting the table with a variety of raw ingredients and a consistently simmering pot of stock to cook the food in. Once the table is set, everyone can pick what they like and start cooking. Hot pot (or steamboat) originates from Asia and is most popular during winter. The main ingredients include stock bases, thinly sliced meats, seafood and other protein varieties (eg. tofu, dumplings, beef balls and fish balls), vegetables, noodles and condiments. There are many variations for hot pot and the choices of the types of main ingredients included can reflect the region of Asia it is from. Just as the different regions of Asia have their variation of hot pot, you can also personalise your hot pot to your liking and needs. If you are on a low FODMAP diet, you won’t need to miss out. Hot pot is easy to prepare. 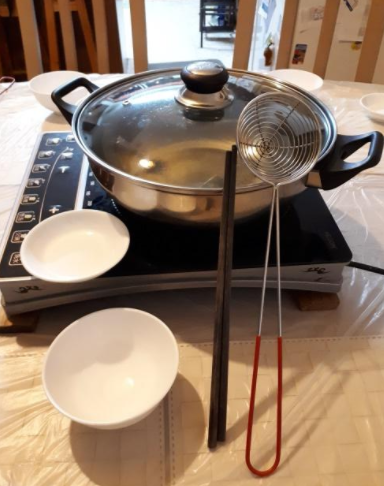 Here are the things you will need to make a low FODMAP hot pot at home. One for your cooked foods and one for your sauce/condiments.